NAGA CITY (Bicol Standard)--Beneficiaries of the Unconditional Cash Transfer (UCT) converged in the Land Bank General Luna branch here for the start of the payout on July 15. 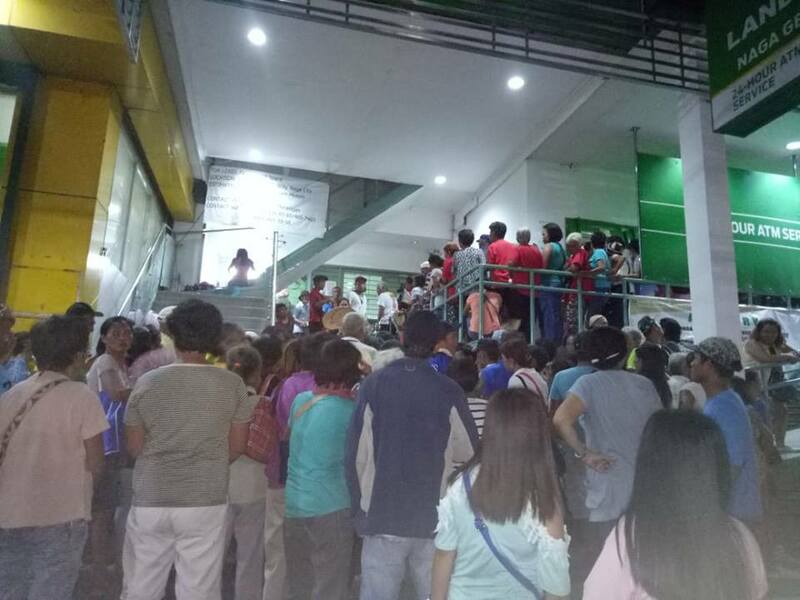 This caused heavy traffic in the area, but the beneficiaries stayed until around 9 p.m. to claim the money, which amounts to Php200 per month. UCT is a cash subsidy provided under the Tax Reform for Acceleration and Inclusion (TRAIN) law to lessen the adverse economic effects brought by the said law to poor Filipinos. This will be implemented for three years (2018-2020).